Rugby is a sport not too often covered here. But a new HD documentary on the sport scheduled for release this month by gives reason to talk about the sport. The film, "A Giant Awakens", explores 130 years of rugby in America. A global contact sport, Rugby is played in over 100 countries on 6 continents by men and women of all ages. What most people may not know is that the Rugby World Cup is the 3rd most watched sporting event in the world, only behind the FIFA World Cup and the Summer Olympic Games. A Giant Awakens - Trailer HD 1 from sylvain doreau on Vimeo. The success of rugby in America has been referred to as the “sleeping giant” that would considerably improve world rugby because of its large athletic population, affluent consumer base, successful professional sports franchises, and a deep connection to major international businesses. Through the lens of award winning filmmaker Sylvain Doreau, the essence, spirit, and challenges of American rugby are captured at all levels from youth to the USA Men's National Team. 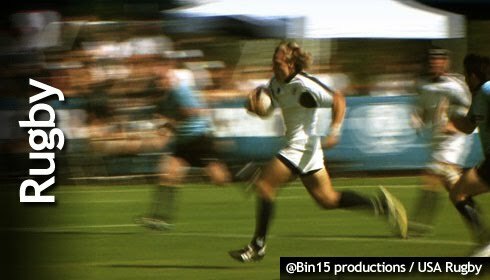 This documentary takes you on a journey from Olympic glory in the 1920's, to rugby's 50 year hibernation in the US, to the USA Eagles capturing the hearts of all rugby fans at the 2007 World Cup in France. American rugby today is about a few hundred thousand passionate players, coaches, referees, administrators and fans sharing the love they have for the game and developing that giant into the international powerhouse of the past. This is their story of passion, commitment, sacrifice, hope and success. With highlights of key events and interviews with players, coaches, and administrators, “A Giant Awakens” is a "must see" for any sports fan.